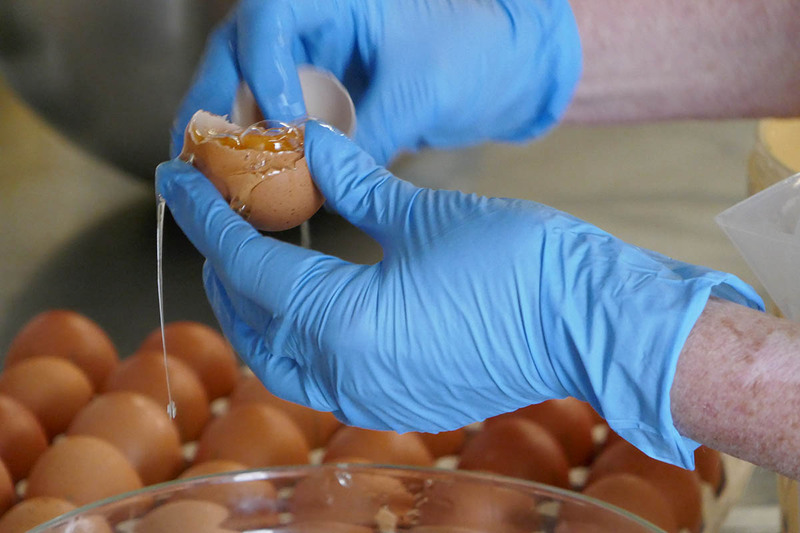 We went to the best Cooking Class in Tuscany in Italy. This is a tour which is bookable on TripAdvisor. This was something that I have wanted to experience for a long time. Perhaps, it was my impressions from novels like Under the Tuscan Sun or reading the recipes from Tuscany, or just the romantic idea of a cooking class in Tuscany in Italy, that has always appealed to me. 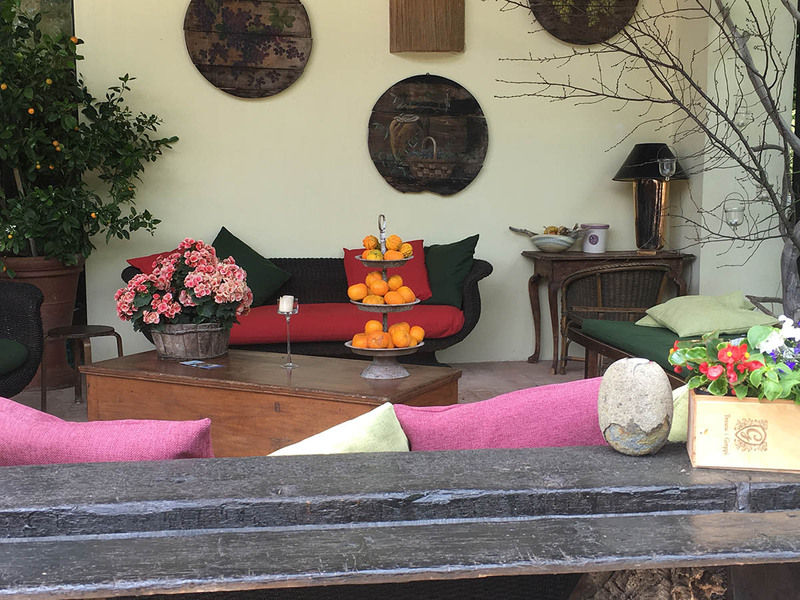 What made it even more special was that this was a hands-on experience in the Tuscan Hills, at the village of Castagneto Carducci. Should you be lucky enough to spend more time, here is a 1 Week in Tuscany Itinerary. 3 Where is this cooking class located? 4 Why is Bolgheri famous? We were on a cruise through the Mediterranean that ended up in Italy and Spain and lots of other fabulous places. What better way is there, than to spend a day in Tuscany than by doing a Tuscan cooking class. 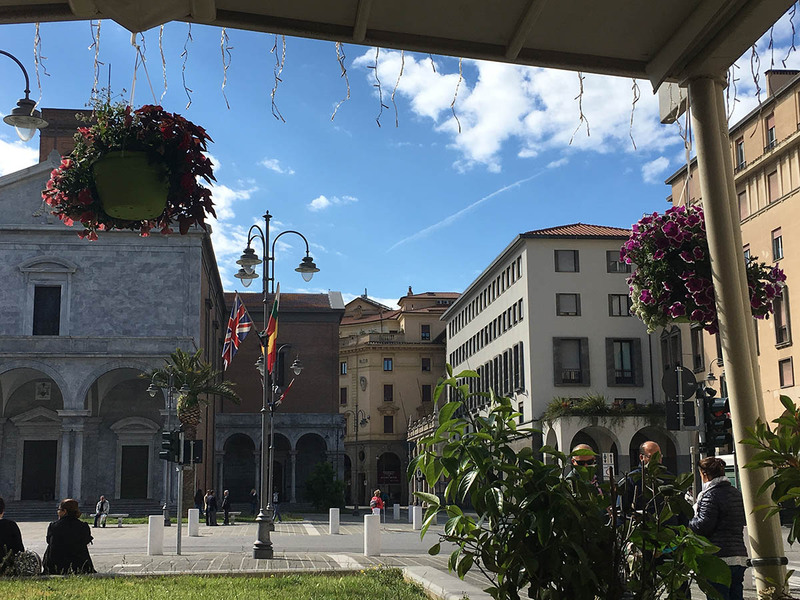 We travelled through the Tuscan countryside from the port of Livorno, which has an absorbing and let’s say colorful Medici and pirate-influenced history. We then arrived at an historic villa, named Campastrello Sport Residence Hotel, near the village of Bolgheri. The sports reference is that this is a hotel, which not only has a Tuscan cooking school but also comes with swimming pools, and tennis courts. The Campastrello Sport Residence Hotel in Tuscany is located by the seaside just 3km from the Tuscan Riviera in the small town of Castagneto Carducci. This hotel complex has the most magnificent gardens and a restaurant that people come from miles around to eat this local food. If you were dining there that day, you might have sampled the food that Gordon and I prepared under the very watchful eye of the most delightful chef, Giovanni Balzini and sous chef Aby. Where is this cooking class located? 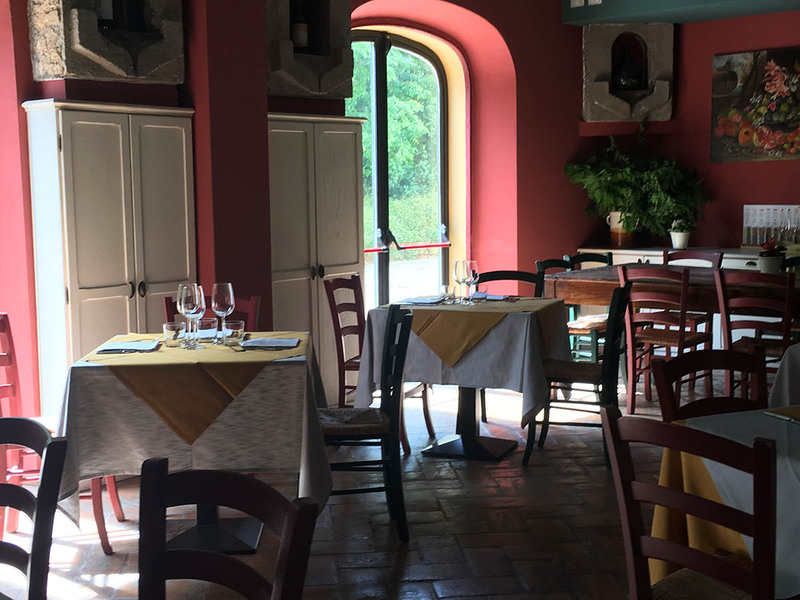 We were on the historically rich Etruscan Coast of Italy, which has many beautiful beaches and clear waters, but also the very traditional Tuscan village of Bolgheri. 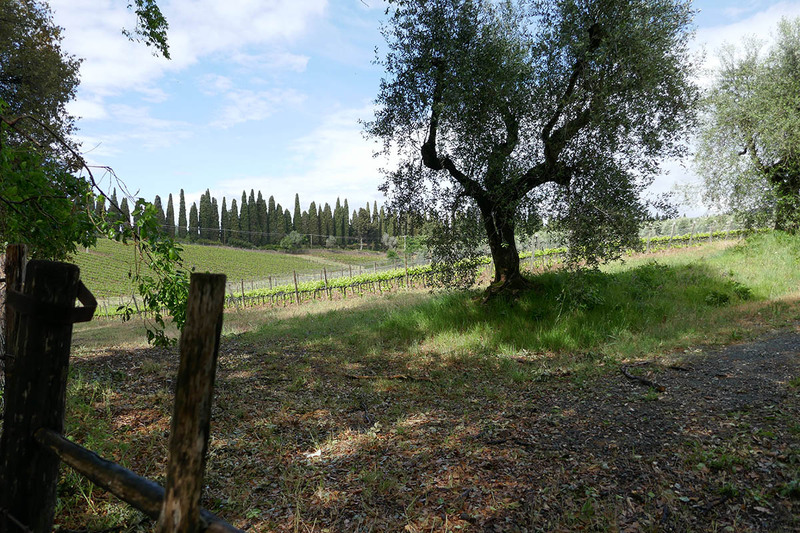 Bolgheri is situated between Cecina and San Vincenzo and is less than 10 km from the seaside, and just 50 minutes from Livorno, 55 minutes from Pisa, and 90 minutes from Florence. 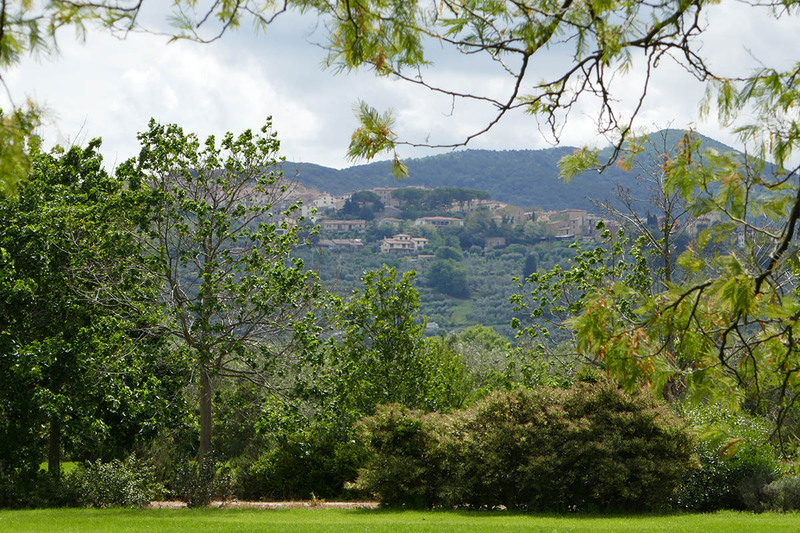 This makes it very accessible for many visitors wanting the idyllic Tuscan cooking experience. Bolgheri is a famous wine producing village located in Castagneto Carducci. It became an internationally known region for its Sassicaia wine, which sells for a lot of money. The area is beautiful, and the wine is also. The Super Tuscan Sassicaia, produced by Tenuta San Guido, is probably the most famous and most expensive wine, and Italy’s finest red wine. 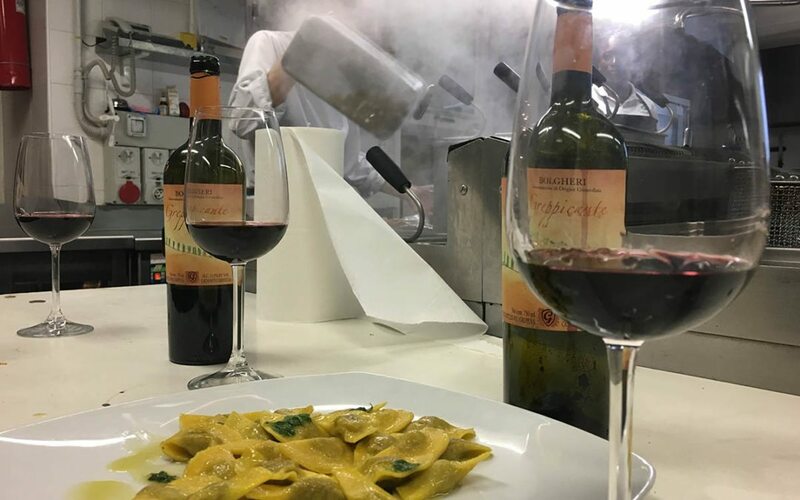 There are thirty local wine estates, who are all members of the consortium Bolgheri DOC, which guarantees the highest quality products, so we got very lucky.It is not just the wine that brings people to this region, but the very local food. 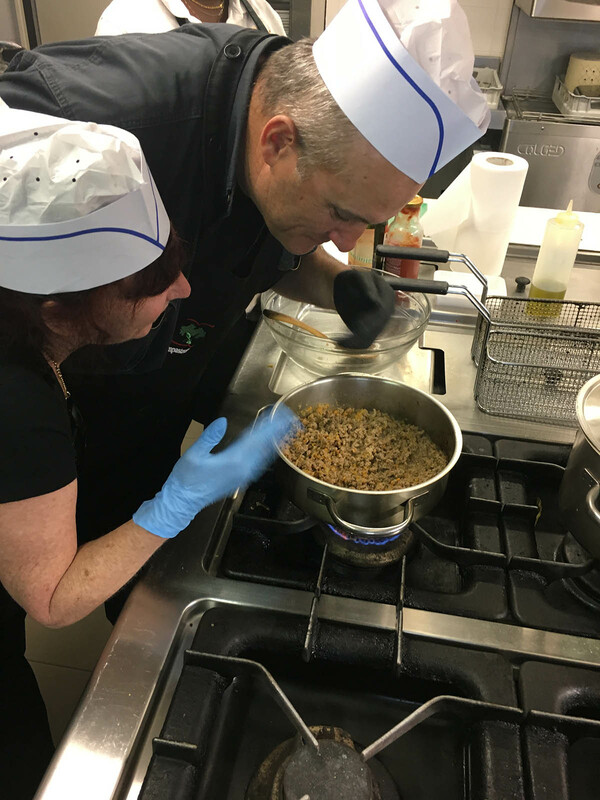 Our cooking school in Tuscany was a 7-hour cooking experience, and one of the most enjoyable experiences we have had. 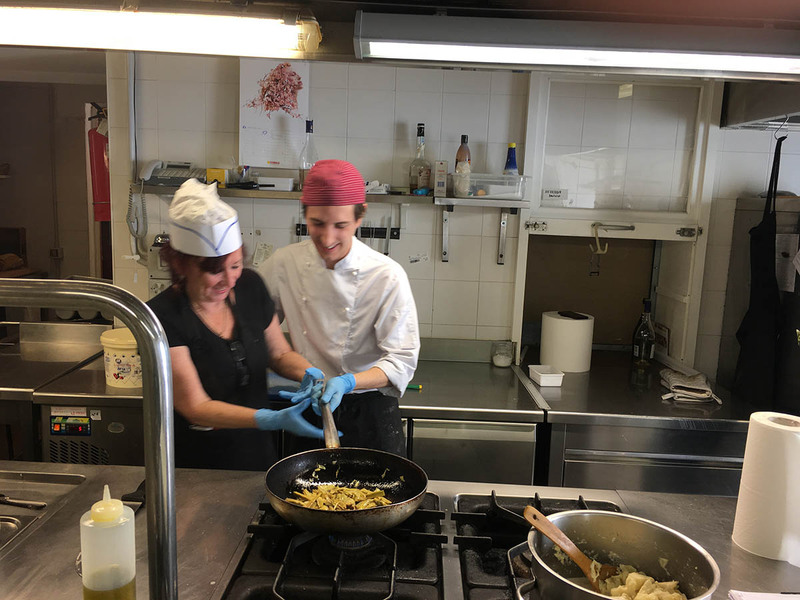 Many of you will know that we graduated from the Paella Academy in Valencia, Spain, probably because we keep mentioning it…but if you happened to have missed it, here is the link to our story. 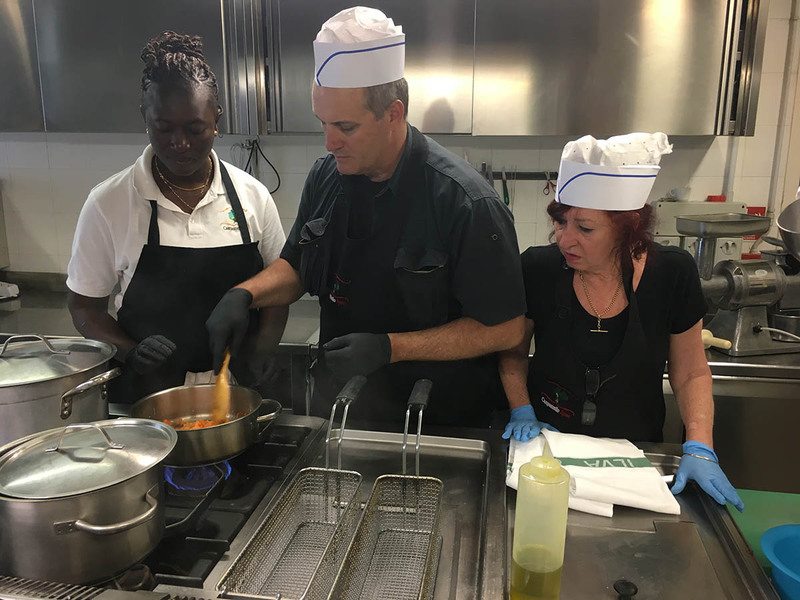 We were looking forward to adding to our repertoire of skills, not to mention the bragging rights of telling people how to prepare and cook pasta …properly, how to make a kickass ragout, and how I cut up hearts and liver for a pate, without passing out. We had booked our tour through Viator, and the tour company My Tour. We had an amazing guide, who shared the history of Livorno, not to mention the history of this beautiful region of Italy. 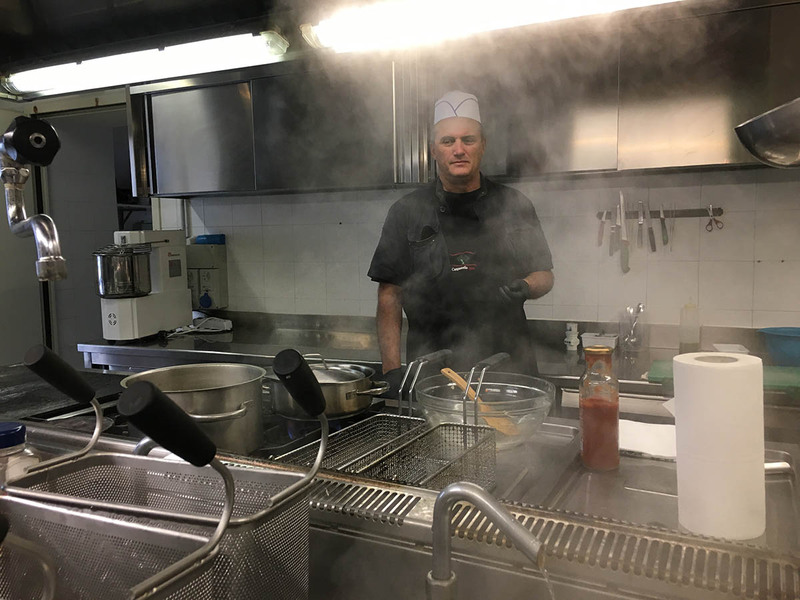 The company organized an interpreter for us at our cooking class which was held Ristorante L’Olivo, the restaurant at Campastrello Sport Residence Hotel. The restaurant is named for the very old olive tree that lives in the gardens. With our interpreter Natasha, who also happened to be Australian, but lives in Tuscany, and the delightful Valentina from Tuscany Tourism, it was one very friendly and loud group in the kitchen of Ristorante L’Olivo. There was no real language barrier as Giovanni was no Gordon Ramsay, kindly explaining and complimenting, and at times fixing our mistakes. 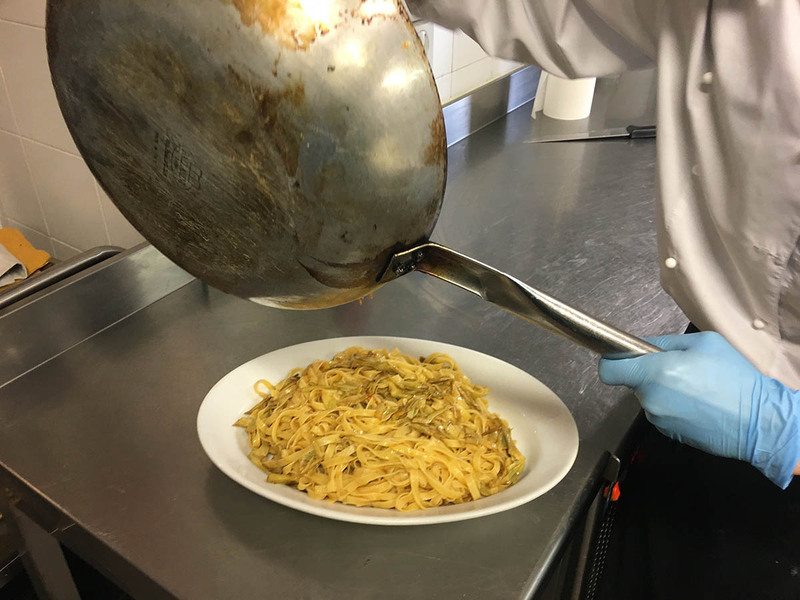 My chef Gordon (not the Ramsey one) ended up making the tagliatelle pasta from start to finish with Aby, though let’s face it; I separated 9 eggs, then added 5 whole eggs and added that to the flour, semolina, salt, oil and water. 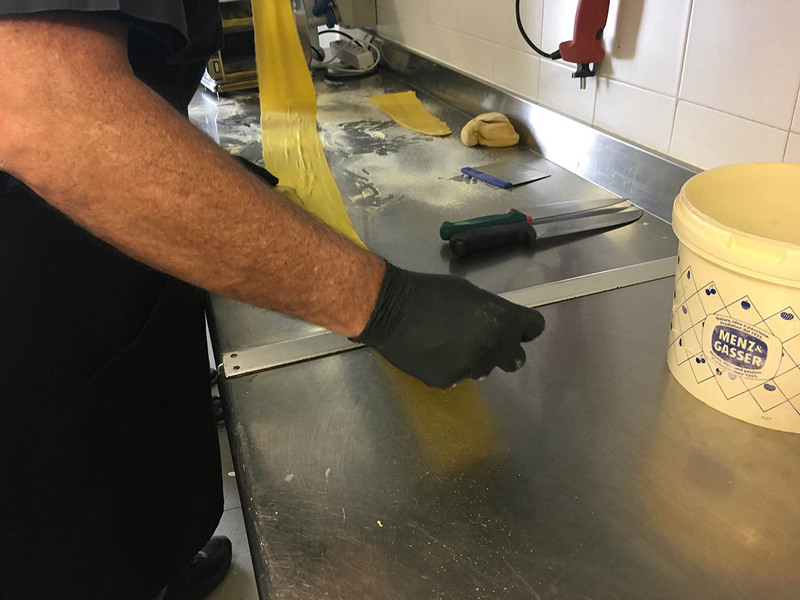 Making pasta is a lot more complicated and labour intensive to do than buying it at the supermarket, particularly when you are making 2 kg of fresh pasta. 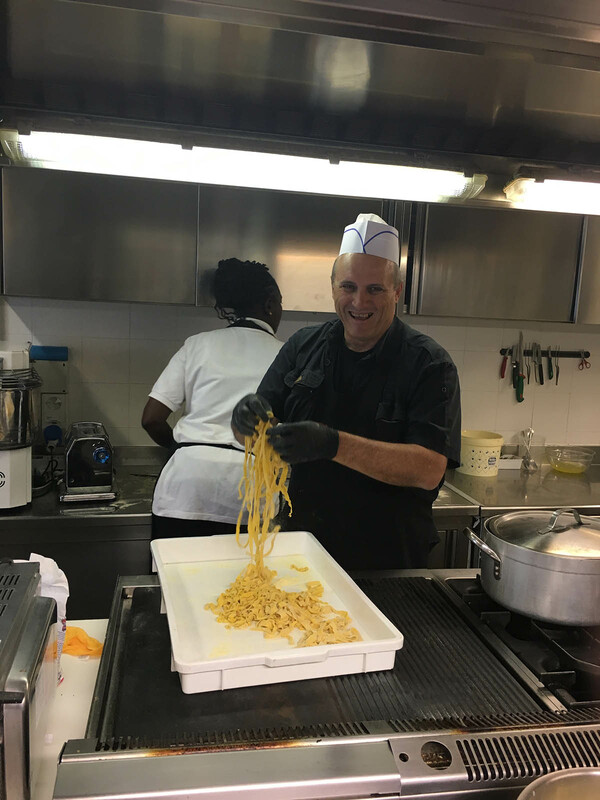 Gordon kneaded, stretched and did all the things involved to make the perfect pasta. I was with Giovanni trying to cook more pasta, and trying to flip the frying pan to mix the ingredients. The pan was so heavy that after my 3rd attempt, much of it was on the floor. Giovanni laughed, and we started again. Next, he sent me to the offal station to cut the fatty bits off the hearts and the liver. Because he is smart, he had a kitchen hand with me to make sure that I didn’t add any fingers to the mix. It was then onto the vegetables to accompany the livers and hearts, while Gordon was grinding meat and making vegetables for the ragout. He somehow made a bruschetta also …which is pronounced brus-KETTA in Italian… never knew that. All the while we were all talking and laughing and sharing stories, much as you should do in any Tuscan farmhouse kitchen. 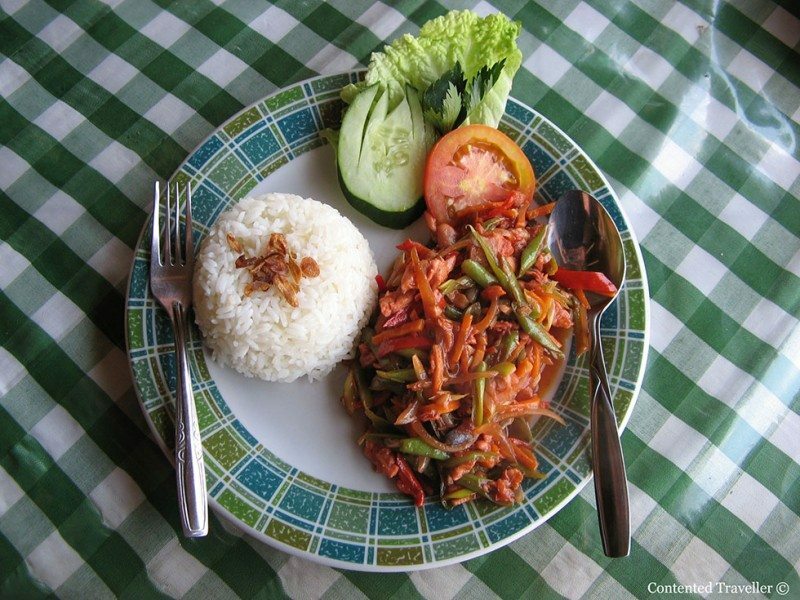 It is very hard work in the kitchen, and hard work being on your feet for a long time. Our lovely interpreters could see that we desperately needed wine and local Tuscan wine at that. And it appeared. We then started sampling the bruschetta, the pate, and a ravioli of the local wild boar. The Tuscan wild boar – or ‘cinghiale’ – has the dubious double honour of being a local emblem and a local delicacy. 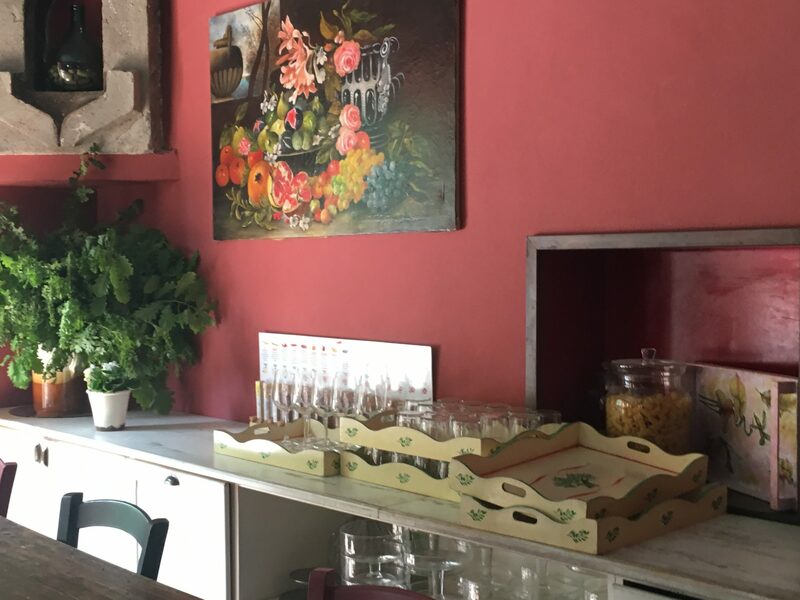 With more locally produced wines, we moved into the Tuscan restaurant to eat more of our food. Our day concluded with a drive along the famous Viale dei Cipressi (Cypress Avenue) that led from Bolgheri back to Livorno. This was a scenic, straight avenue, about 5 kms long, bordered by ancient cypresses. A famous Italian poet of the nineteenth century, Giosuè Carducci, wrote a poem “Davanti San Guido” about his love of the region. Go to Giovanni, and the L’Oliva and learn new skills, make new friends, and have fun. We sure did. We experienced the best cooking school in Tuscany in Italy, and this is something we advise everyone to experience. There are lots of other great trips to do in Tuscany, and we recommend checking out Trip Advisor Things to do in Tuscany.